The rugged all rubber construction of our cleat cleaner will remove mud from cleats quickly providing better traction, improved maneuverability, decreased injuries, and cleaner dressing rooms. The Original Cleat Cleaner is used extensively by College and Major League Baseball. The rugged all rubber construction will remove mud from cleats quickly providing better traction, improved maneuverability, decreased injuries, and cleaner dressing rooms. 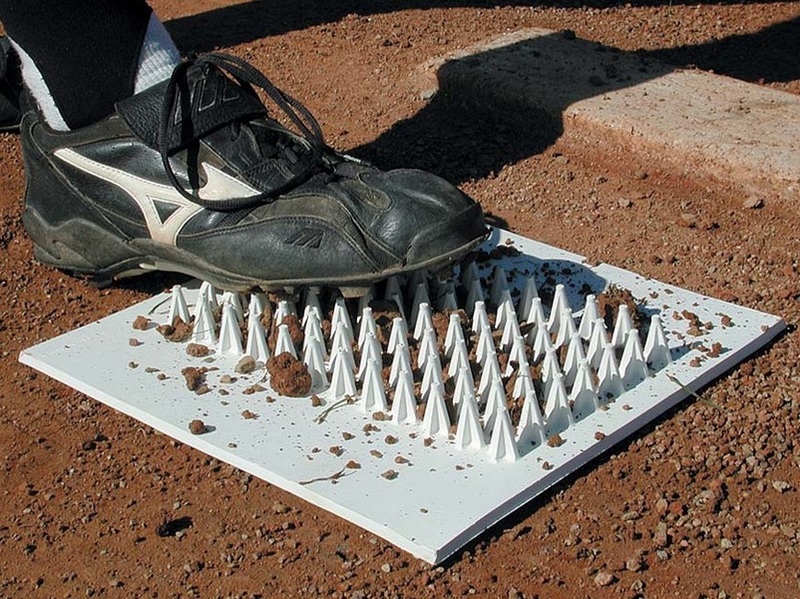 Install it on the mound, outside the locker room door, around the team bench area, in bullpens, or in the dugout. Can be mounted to treated lumber and buried in the ground for permanent installation or thrown down for temporary use.